Forecasters at Met Éireann said they are monitoring Hurricane Helene in the Atlantic and will issue warnings, if required, closer to the time of landfall. It is predicted the hurricane will reach Ireland on Monday night as an ex-tropical storm. Met Éireann report that the ex-tropical storm will bring wet and windy weather - but there are "no strong indications that it will bring any severe or damaging weather". Speaking to Independent.ie as Met Éireann released a briefing on the storm today, forecasters acknowledged that the UK's Met Office have issued weather warnings ahead of the weekend but said they generally wait until closer to the weather event. "We have a different method of issuing warnings. The UK Met Office have the capabilities to issue warnings up to five days in advance," the forecaster said. "Ourselves, we wait longer. To be sure of what's down the line, we wait for our higher resolution models to come. "We are waiting to see what they come up with, and we will issue warnings if required, as required. "We're aware of the situation and monitoring it." Today's briefing indicates that Helene will take a northeastward track towards Ireland's shores early next week. The current forecast is that 'ex-Tropical Storm Helene' will make landfall overnight Monday and early on Tuesday, although the exact path is not certain. 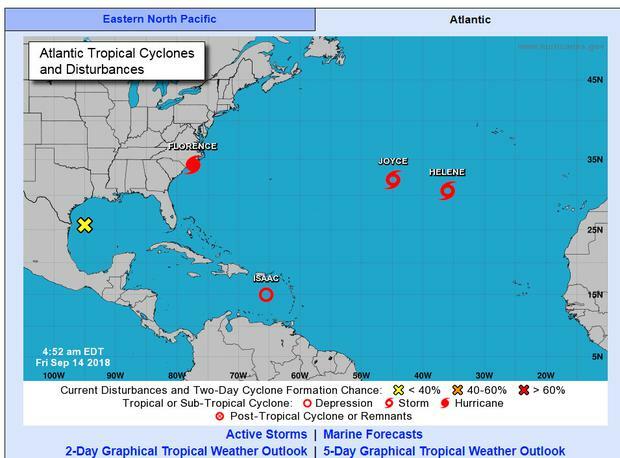 "It is a tropical system" the forecaster continued, "so the path could change, the timing could change, the track could even wobble a little bit." Speaking on RTE Radio One's Morning Ireland, Met Éireann forecaster Harm Luijkx said the ex-tropical storm is likely to bring wet weather for Monday and Tuesday. 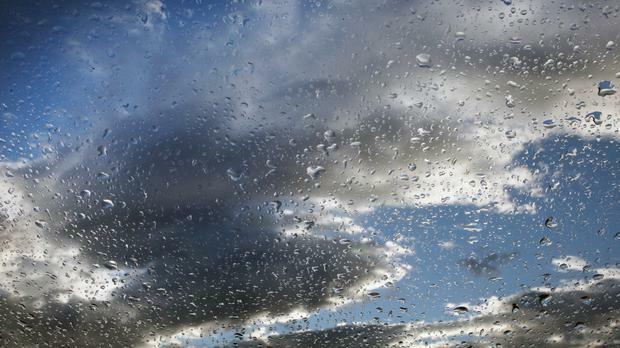 "Saturday will start mainly dry with isolated showers, and rain will develop in the west and north," he said. "It will be windy everywhere. "On Saturday night, there will be wind and outbreaks of rain in all areas. "On Sunday the rain will clear in the morning and have brighter weather later in the day," he added. However, the country will experience more consistent wet weather early next week. "The ex-tropical storm Helene will approach the south coast on Monday, and is likely to bring wet weather on Tuesday as well. "But there is no indication it will be a very severe event," Mr Luijkx said. NUI Maynooth Professor John Sweeney reassured the public yesterday that the oncoming weather will not be as extreme as October 2017's Ophelia. "There is another hurricane in the Atlantic, Hurricane Helene. It formed close to the Azores," Professor Sweeney said. "The trajectory is almost identical to Ophelia, but you can rest assured, the expectation is this hurricane will weaken. "It will get caught up in jet streams and low pressure streams, it will probably reach us in the form of heavy rainfall, maybe gales. "But it will be no repeat of Ophelia," he added. The professor was responding to weather reports that the hurricane was on "collision course for Ireland and the UK. Helene is one of a number of major storms in the Atlantic at the moment.